How to Watch Live London 2012 Olympics on PC? 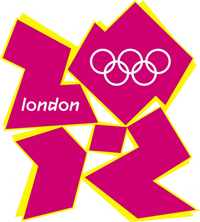 The 2012 Summer Olympic Games, will take place in London, England, United Kingdom, from 27 July to 12 August 2012. Sure that many people hope to watch the game and get close to the players. But few people have this chance, most of us only can watch live London 2012 Olympic Games on PC or Television. Learn how to watch television on your computer screen! Watch London 2012 Olympic Games on any PC with 3 ways,never miss any Olympic game events! 1.Buy a PC TV Tuner. These are most often PCI Express devices. PCI Express often referred to as PCI-E or PCIe, is a computer bus technology that allows expansion cards to communicate with the computer’s processor. Installing a PCI-E card is much like installing other cards, but it has its own slot and often requires an additional power connection. They connect inside your computer. Chances are you already have a device using a PCIE slot, look in the rear side of your computer case and try to find a modem /vga monitor/ sound ports etc using a PCIE slot. Most computers come with an empty slot also. If you are not comfortable with installing a PCIE device, simply buy a USB TV Tuner online. USB Tuners will work just as well as PCIe Tuners. If you decide to go with the USB or PCIe TV Tuner, which you can buy online for about $80 to $250, skip this step and go to step 3. If you would rather use an USB device which is easier to hook up, you can also find these online for a bargain. Plug the PCIE or USB TV Tuner device into your computers USB or PCIE port. Insert the CD that came with your tuner, and install the drivers from the CD manually. After hooking up and installing the hardware and software for your new TV tuner, you are ready to plug your cable into the tuner. It is the same cable that your TV is currently using. You can also plug a VCR’s cable into this tuner device to watch VHS movies on your PC, and usually a DVD player to watch DVD movies on your computer. Your tuner probably came with a program to watch TV, but if not you can download one online for free. BuyDVB Online Store provides professional PCIe TV Tuner and USB TV Tuner,with them,you can easily watch Olympic Games live on your pc or laptop. TBS6991 DVB-S2 Dual Tuner Dual CI PCIe Card-a Twin Tuner digital satellite TV card with dual common interface for watching and recording digital satellite PayTV on PC. You may use one tuner to watch one TV channel while using another tuner to record/watch another channel from another transponder/ satellite simultaneously. It can be either used for watching Free to Air TV or satellite Pay TV since it’s integrated with two CI slots.It makes you to watch Olympic games on pc easily. TBS5880 USB DVB-T2/T/C CI TV Box-A hybrid digital TV external box with both DVB-T2/T tuner and DVB-C tuner. You can use it for watching or recording digital terrestrial or cable TV on PC. The integrated CI support makes it possible to watch Pay TV. TBS5880 is compatible with Windows7 Media Center, MediaPortal, DVBlink, DVBDream, DVBViewer, ProgDVB, Skynet, TSreader, XBMC，MythTV,VDR and many other popular softwares.It’s ideal for watching UK Freeview SD and HD channels on your PC. London 2012 is expected to attract more digital viewers than ever before, with more coverage available across more platforms than any other Games in history. For the first time ever, the IOC will broadcast live Olympic Games content on its YouTube channel (www.youtube.com/olympics) in 64 territories in Asia and Sub- Saharan Africa, with on-demand coverage also available. Elsewhere, live and on-demand Internet and mobile coverage will be provided by the Rights Holding Broadcaster within the respective territory, enabling Olympic fans around the world to follow the action wherever and however they like. The IOC is also working in partnership with social media platforms, including Facebook, Twitter, Google+, Foursquare and Weibo, to engage younger audiences. Here we are featuring 5 channels to catch videos, photos, news and highlights of your favorite Olympic events. While some are region-restricted, you will probably find at least the one channel that works for your region.